A DC filter for in particular toroidal transformers. The pcb has two layers and gold pads. 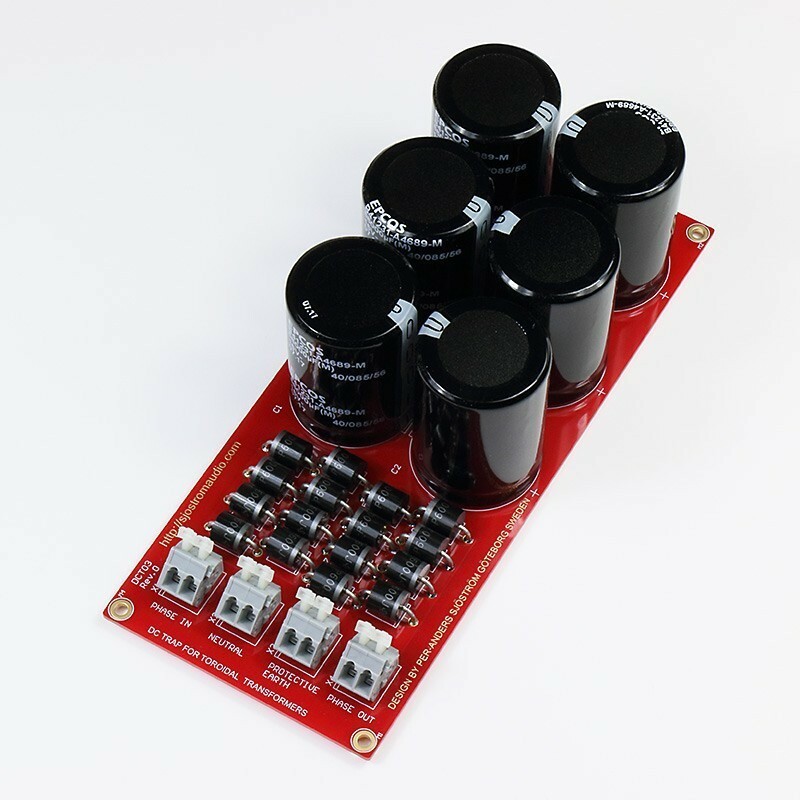 It's an built unit and the capacitors are 68000 uF/16 V.
Room for up to 6 x 68000 uF snap-in high performance caps. The limitation is 35 mm max diameter. 2.8 V DC blocking voltage. Four diodes in series. Very thick copper traces (105 um, 3 oz. ), virtually impossible to burn off.